While it is entirely possible to have a camping holiday in a small weekend tent, we have found that if you’re staying more than three nights, then you need a larger tent. A larger tent provides you with a lot more space for all the clothes, more food, and other stuff required to keep your kids happy. We recommend you find a tent with multiple bedrooms and an excellent living area. You will want to get some camping furniture for the living area to avoid the tent becoming an unorganised mess. You will also want a tent that has a good entrance that enables you to come in and out of the tent in the rain without getting the interior of the tent wet. You should also look to have a large porch area for storing cooking equipment, bikes, and muddy boots. However, pitching extensions can sometimes be a hassle, so if you want a more extended stay, opting for a larger tent from the outset is worth considering. For those of us with a larger family, a three bedroom tent is usually the minimum size. But even if you don’t need the extra room to sleep in, a spare bedroom is excellent storage (walk-in wardrobe) for those more extended camps during the family holidays. There are a great many tents to choose from. Below are some tents that are worth having a look at. There are many tents in our list below.  Click on the filter below to help you find that perfect tent your family camping holiday. Outwell Bear Lake 6É – It looks like a canvas tent, but is it?